Your business signs provide point of sale and directional messaging for your visitors. More importantly, your business sign is one of the most prominent reflections of your brand. The experts in Lemberg's Sign division know that creating your brand means tackling a lot of details. 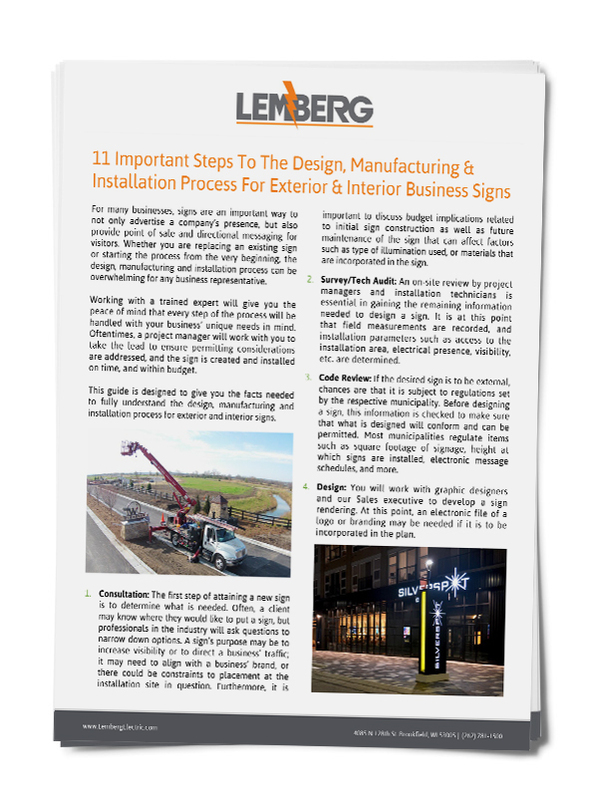 To break down the business sign development process into manageable steps, we've created these "11 Important Steps in the Design, Manufacturing and Installation of Business Signs." We want you to be informed throughout the process of creating your brand. Download these "11 Steps" today!